A cuddly lion very soft (inspired by the beautiful softies Cré-Enfantin) and its cousin the tiger blanket. 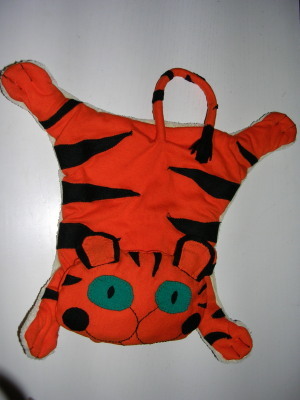 You can take a look at the tutorial to make the teddy tiger is by "here",[["adverb","here","over here","hither"]] . Three little finger puppets made of felt. A sleeping baby Arthur, teddy bear or small Pokemon, you see, all his references! I used the pattern of the book "Intemporels pour bébés" Astrid Le Provost, not only for babies BCBG, it depends what is done. I am inspired by a model of the mark "poudre de perlimpinpin", set aside in my image bank some time ago already! 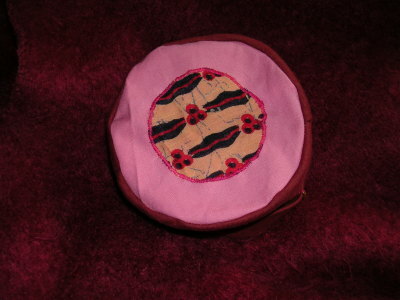 The sleeping bag seemed a little long, so I added buttonholes with teddy tabs to shorten the sleeping bag if necessary. 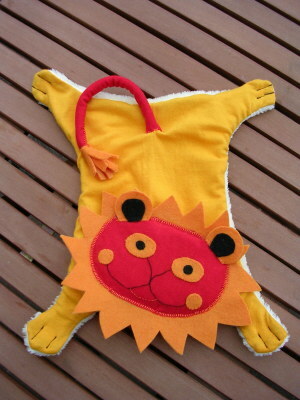 Suffice it to add two buttons in the back of the sleeping bag and fold the bottom of the sleeping-bear behind. A round bed, missing only fish for Arthur feels in an aquarium! Not really match the sleeping bag, but we find the same fabrics. I covered a round bed that you gave me, which was in red gingham with ruffles. 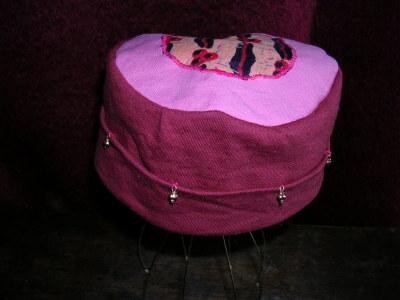 A hat for our newborn little Arthur! Of Recycling, always with an old plaid shirt from his dad! I hope it will go ... we will see, at birth! A small harem pants, size three months cut from an old shirt, too! It seems a little long, he was rolling up the legs, especially since this is not a fabric that suits for the cold, so he better bring it before October!